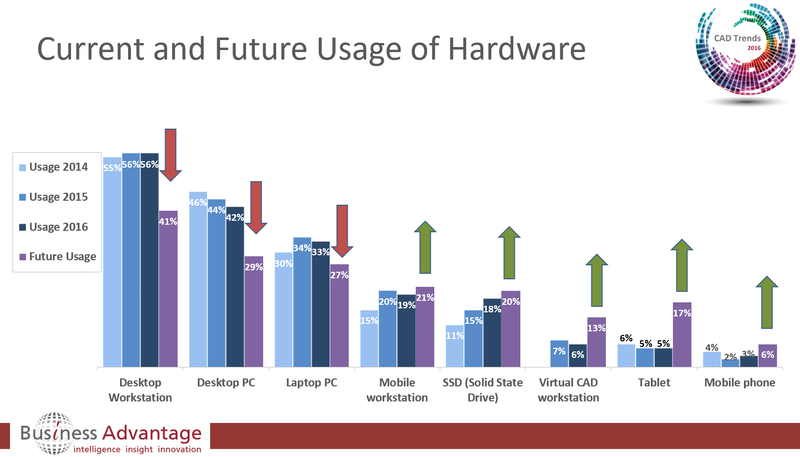 Key Insight: For CAD, Desktop Hardware usage is forecast to decline, Mobile and Virtual Hardware usage to increase. This post publishes more specific details on current and future intended usage of different hardware for CAD from the Worldwide CAD Trends 2016 Survey. These survey results are based on responses from CAD users, Designers, Engineers, Professionals including managers and senior executives.